SHOUT OUT TO STALLION OILFIELD SERVICES - 432.687.4455 FOR SPONSORING SHOOTING AFTER DARK & PAINTBALL AFTER DARK! HIT THEM UP FOR ALL YOUR OILFIELD SERVICE NEEDS! THANK YOU STALLION OILFIELD SERVICES!! 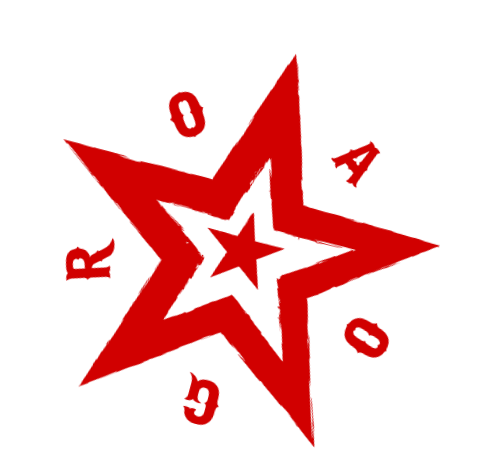 ☆ O.A.O.G.R. 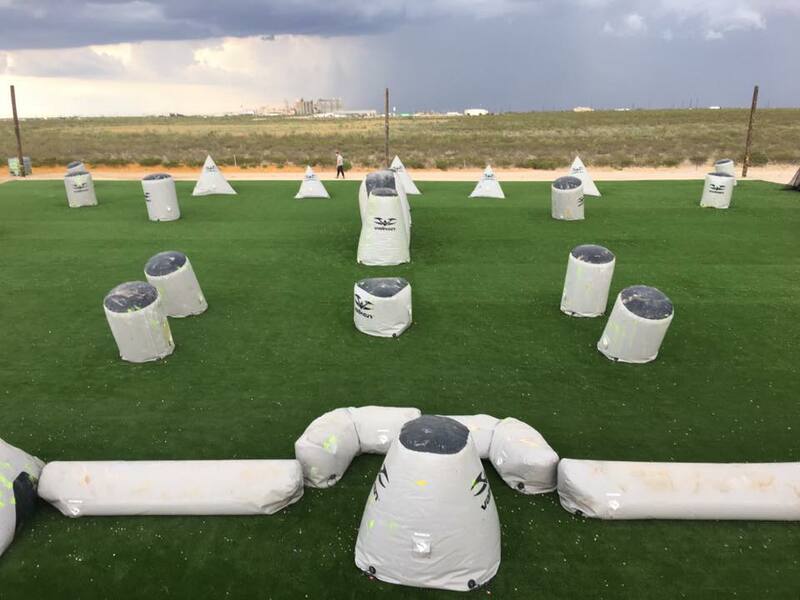 ☆ The Basin's home of shooting after dark and paintball after dark! ALL U.S. MILITARY / VETERAN MEMBERSHIPS ALWAYS 50% OFF ----- Must provide valid documentation. ALL POLICE, FIRE, EMS / EMT, & ECISD / MISD MEMBERSHIPS ALWAYS 33% OFF ----- Must provide valid documentation. Thank you to the Permian Basin for voting O.A.O.G.R. the best shooting range! 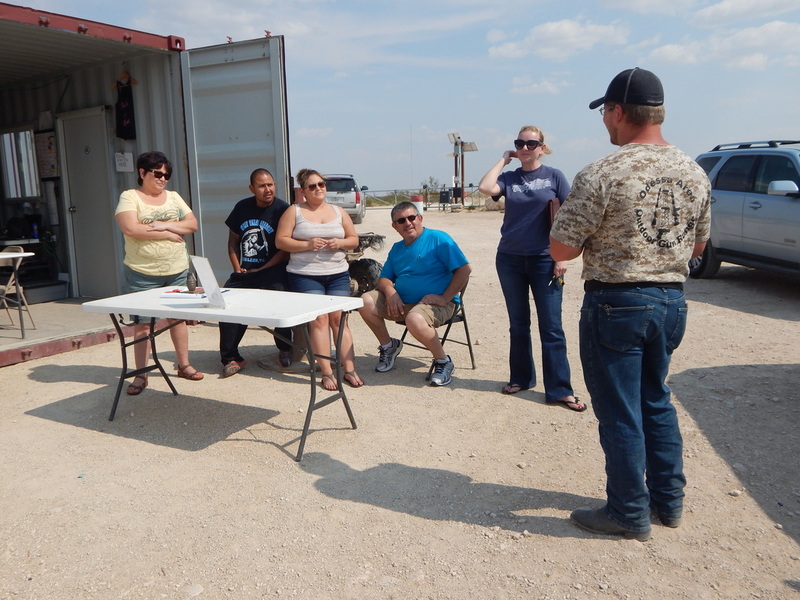 The Odessa Area Outdoor Gun Range is the Permian Basin's newest outdoor shooting facility. 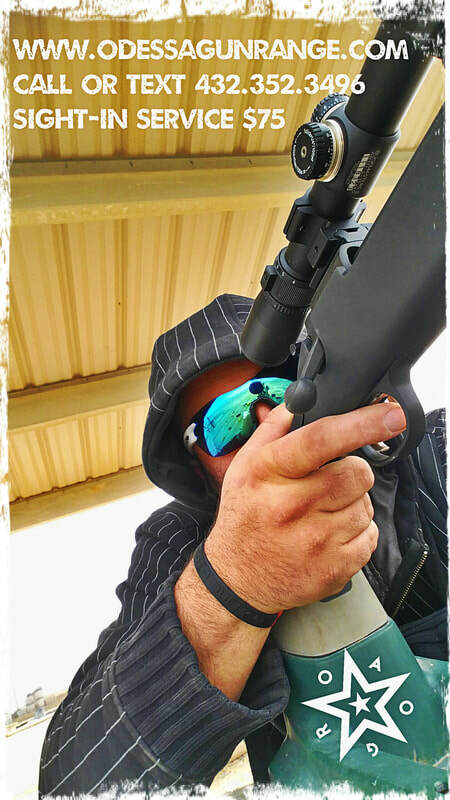 Situated 13 miles west of Odessa, conveniently located on I-20, the 50 acre range offers a variety of shooting options for the surrounding communities. Pistol, rifle, shotguns, paintball, combat, tactical, even archery is welcome at ranges out to 400 yards. A casual atmosphere and friendly members help to ensure a quality time. NRA certified Range Safety Officers are on staff every single day. Established in 2014, the range is new and still under constant construction and improvement. Memberships are available for purchase 24/7/365 by visiting the ﻿﻿online store﻿﻿ at http://www.OdessaGunRange.com/store. Over 2,000 members in one year have made the choice to join our club... We are here to stay. Oil is down, crime is up. What are you waiting for? TARGETS, SAFETY EQUIPMENT, AR PARTS, AK PARTS, GEAR, BODY ARMOR, REFRESHMENTS AND MORE - EVERYTHING YOU NEED TO SKIP THE STORE!! STAPLERS, SANDBAGS, LEAD SLED, PRACTICE BOW, ARCHERY TARGETS, BINOCULARS, SPOTTING SCOPE, & CLAY MACHINE!! ALSO GUNS BY REQUEST! Exclusive EXTENDED hours for members. Member hours 7AM - 9PM+ (or later). Open to the public 10AM - 9PM weekdays. Open to the public 10AM - 9PM+ weekends. 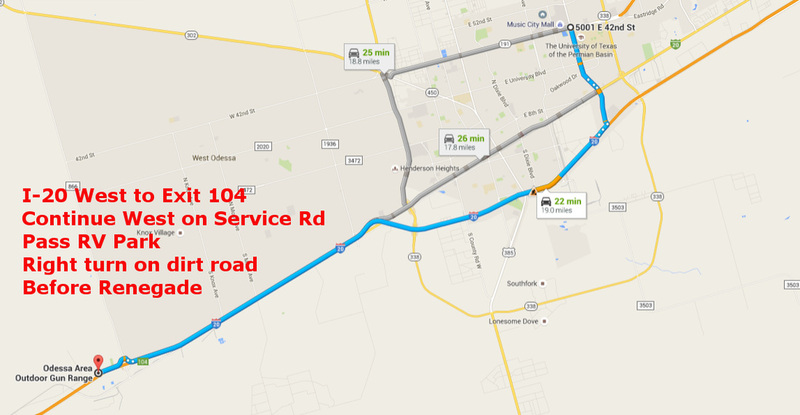 - Take I-20 West to Exit 104. - Exit and continue west on the service road. - Continue past RV park & past Brush Mtn range. - Turn right BEFORE Renegade Services. Over $4500 in savings! Up to 25 full memberships for 5 years! Always looking for more sponsors! Light plants, awnings, clay machines, dirt/dirt work, etc! Have you ever wondered how you would react in an actual self defense scenario? A home invasion? Workplace violence? Or an active shooter situation? ... ​We provide everything you need to find out! Test your skills against friends, family, co-workers, etc or even against a Range Officer! Ask any Range Officer about the Tactical Combat Scenario! FACEBOOK LITERALLY HATES US SO YOU HAVE TO GO TO OUR PAGE AND PUSH LIKE AND THEN PUSH "FOLLOWING" AND THEN PUSH "SEE FIRST"
Why choose the Odessa Area Outdoor Gun Range? We know there are several options for shooting activities in the Permian Basin... Why would you choose us? Variety: We have a wide variety of shooting options! Pistol, Rifle, Shotgun, Paintball! 5 yards to 400 yards! Tactical shooting! CQB! Shooting while moving! Even Archery! Night shooting! 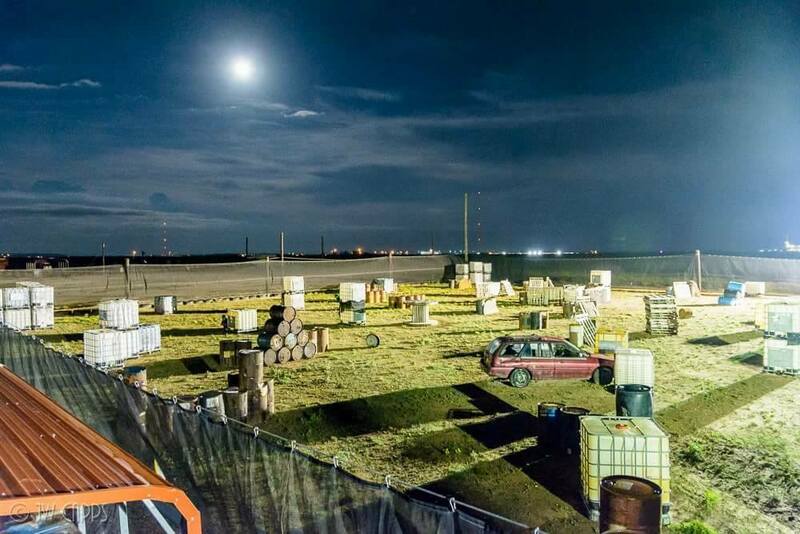 Paintball after dark! You can literally do it all! Community: We have a very involved group of members and staff. Lots of regular faces and friendly people. You WILL make friends here! You WILL have fun here! You WILL belong here! Events: We are always putting on fun events for the community! Customer appreciation nights, bonfires, paintball parties, swap meets, gun shows, concerts, and more! The Price Is Right: We have the best price in the basin! A year membership is $150 with zero daily fees and discounts for Police, Fire, Ambulance, and Military! An ALL DAY PASS is only $20 and kids 15 and under are FREE! A Bright Future: The best never rest and even though we are only a couple years old we are constantly upgrading the facility and don't plan on stopping!